Do you work for AWeber? Learning about AWeber? We can help. AWeber is a great email autoresponder program. For my individual website, it has allowed me to send automatic emails to everyone who decided to opt into receiving my emails. AWeber is easy to use, and it allows me to maintain contact with my audience. I would probably say the best part of this program is the price for what it does, and how convenient it is to use. I dislike how the design the emails are not very professional. They seem basic and lack character, which is not that great from my perspective. I want my clients to see my emails like they're corresponding with me individually, instead of on a list. Due to this, I find AWeber somewhat lacking sometimes. I would say that it is a program which is easy to use. It does not offer the best design, however it is great for a starting business, and has been a great starter program to use. I would also say that after a few years, it might be worth it to upgrade to a more professional and sleek looking program. I use AWeber to contact my clients for my Freelance profession. I like to make crafts and sell them online, and for part of my website, it is very important to have your clients be able to hear from you. This is why I started using AWeber. It has helped me maintain contact with my clients, and has done so efficiently. "Online marketing through emails "
The support is slow, they announce an attention 24/7 365 days a year, but something is happening at certain hours of the night where the support is terrible, I would like at least you had robots to answer the questions pressing and that in a general way be resolved. I recommend reviewing the scope of the marketing you want to reach well, since if the subscribers are many, depending on the selected plan may fall short and leave many subscribers what would make your company look bad when it comes to attracting potential customers. Aweber has a variety of plans that need to be carefully analyzed to take the plan that best suits the marketing needs of the company. The bulletins that are created with the platform are great, and the most important thing is the security that Aweber has meant for the management of the subscribers who see in us a reliable alternative and that thanks to the Aweber platform is managed in a way very correct We can say that the quarterly results we obtained after one year of the implementation of Aweber for digital marketing have been better than previous years. "Excellent software for online email marketing "
I love that I can have multiple email lists under one account. Broadcasts and campaigns are super easy to set up. After you send the email, you receive a report on your email about how many people opened the email, who clicked the link, and how many unsubscribed. When you bulk import email addresses, the system will not upload bad or duplicate email addresses. If you want a custom template then you have to pay aweber to create it for you. They do have prebuilt themes and templates but none of them appealed to my company. make the switch! you won;t regret it! Patient reactivations are coming to us easily when we send an email out. I can increase my podcast listens through sending an email. Any bounced emails will be taken off your email list which keeps your list up to date. You can chose to target the people that clicked to your website and email only them. "This is exactly what i was looking for!" I wanted a form of subscription that could be confirmed by email on the web page i'm creating and this is amazing, i got a lot more options than i expected, one of them is the option to schedule broadcast messages to your subscribers and you can even use templates on it to decorate according the colors of your website, you can also use integrations to gain subscribers from social media accounts or other platforms like Facebook, Wordpress or even Paypal; The email marketing performance is awesome! you can track how many people open your emails and what links they click, in that way you can do trial and error and you can do better advertising campaing by email, AWeber you made my life easier! Thank you so much for being that awesome! give it a opportunity belive me it is a awesome tool! "Very good email platform that could use an improved API and visual tools"
AWeber makes it easy to create separate newsletter lists and schedule emails and drip campaigns. The pricing is straightforward and they've recently started offering 24/7 support. Email deliverability has been pretty good in our experience. Even though the support is 24/7, they still often take several hours to respond. The API documentation could be better. Although you're able to click on each subscriber in the UI and see which emails they've read, there doesn't seem to be any way to export this information or access it via an API. They offer a tool to help you create newsletter forms for your web site, but it's very outdated. We have a large newsletter of people who have visited our web site and signed up for our free course. AWeber has been reliable in handling all of these subscribers and it's simple to edit the email campaign as needed. We use AWebber in our church to communicate with several separate lists. We are able to send quick simple messages for specific groups of people, as well as weekly updates with attractive graphics and formatting for our larger groups. We have also enjoyed the statistics for people's response to emails. The service builds great email lists, but I wish there was a more powerful way to do registration for events through this software. Also, sometimes the formatting in the HTML emails are a little buggy. I enjoy using the formatting options to insert first names and make the bulk emails more personal, but I have found it is most effective when this is done sparingly in my profession. Different companies may set more options for inserting information, and the marketing capabilities open up a lot of opportunities. Contact information for our church members and program participants are easily available and organized. The beautiful HTML emails provide an attractive way to keep our people connected and excited about upcoming events! The best part about using aweber is it's ease of use and ability to link with many other programs. They make it easy to keep track of your customers as well as automate a sequence of emails. I was able to get my investment in Aweber back within a couple months of using it. This may take more or less time depending on how big of a following your business has already. We use AWeber to send update bulletins to our customers on a scheduled basis and it works perfectly. This tool was just what we were looking for since it automates work efficiently and saves us a lot of time. The user interface is not to my liking but the functionality of this tool is very good and that makes up for it. I recommend the use of this tool because it is easy to use and provides excellent results thanks to email programming. As I said, we use AWeber to send newsletters with updates to our clients so that they are well informed. We also use the potential of this tool to create email campaigns towards new potential customers. AWeber makes it simple to make separate pamphlet records and timetable messages and dribble crusades. The evaluating is clear and they've as of late begun offering every minute of every day support. Email deliverability has been quite great as far as we can tell. Despite the fact that the help is all day, every day, they still frequently take a few hours to react. The API documentation could be better. Despite the fact that you're ready to tap on every supporter in the UI and see which messages they've perused, there doesn't appear to be any approach to trade this data or access it by means of an API. On the off chance that you are beginner AWeber might be new, yet I guarantee you once you burrow down profound and use it as a reciprocal framework to gather leads, clients, and even workers. AWeber enables you to spare time and cash and stay in touch with individuals who have appeared in your business. Attempt it, you will love it. We use AWeber to send pamphlets with updates to our customers so they are all around educated. We likewise utilize the capability of this apparatus to make email crusades towards new potential clients. we use Click Funnels to make a business channel for all our intrigued clients and from that point they are naturally gushed into our AWeber Subscriber list. When that is finished we have an astonishing follow-up arrangement, that conveys messages as long as 17 days after the primary Welcome email. AWeber enables us to adjust and additionally pipe intrigued clients and transform them into full end clients. "Will destroy your business with absolutely no good reason "
1. The system would have been considered dated back in the 90's. Its really bad with several bugs. 2. They will disable your account with no good reason. I had my account for well over a year and all open rates, click rates etc etc where the industry standard. My spam complaints were near 0 and well below the 1 out of 1000 the industry considers standard. My account was closed by Josh S with the (invalid) reasons of CANSPAM violations and not unsubscribing. Most of my emails had been reviewed by a lawyer so they were infact CANSPAM compliant. Secondly most unsubs would use awebers unsubscribe link and the few that didn't I would remove well before the 10 day limit. Most within 1-2 days. I reached out to Josh for more information twice and he (quite rudely) ignored my emails. I then in a desperate attempt to get a competent (What was I thinking???) person at Aweber I reached out to John Walder via my person gmail incase my emails were going to their spam. I doubted it but I was desperate. After several followups to him it became clear the the incompetence was a cultural thing with Aweber as he also flat out ignored all my emails. Remember when you pick a ESP to use to factor this in. It is not just how well their inbox or how good their system is. You're putting your business in the hands of people who probably should not be making decisions. Fix your culture! If John and Josh were really doing as they were supposed to do you have a severe cultural issue. It never be ok ignore a long term client. How you can integrate with just about anything and run simultaneous Email Campaigns, Follow-Up Series and customize every aspect. The email editor is fun and easy to use, that's always a plus. There isn't much to dislike, AWeber has done a phenomenal job giving you the tools, templates, and examples that aid in creating just about every campaign or broadcast you would like. If you are novice AWeber may be unfamiliar, but I assure you once you dig down deep and use it as a complementary system to collect leads, users, and even employees. AWeber gives you the ability to save time and money and keep in contact with people who have shown interest in your business. Tons! We are literally solving tons of business problems. First thing is we use Click Funnels to create a sales funnel for all our interested users and from there they are automatically streamed into our AWeber Subscriber list. Once that is complete we have an amazing follow-up series, that sends out emails up to 17 days after the first Welcome email. I don't want to give away to many secrets, but suffice to say AWeber gives us the ability to adapt and further funnel interested users and turn them into full end users. "Must have AWeber in your marketing department!" I have been using Aweber for years, I can’t imagine my work without this app. First, I love their service. This app helps me to deliver and get the emails I send to my customers on my list. This app works great. Their customer service team is really responsive and whenever I have some issues with the app they are always here to help.! There is nothing that I dislike about this platform.! Intuitive and user friendly platform. The layout is easy to use and You can work on email campaign without wasting so much time,You should try it! Its email service helps me to connect and interact with my customers, clients and even with potential clients. This tool is really helpful for creating relationship with my customers with both new and the existing ones. This powerful email marketing tool helps me to increase my income.! Using Aweber I have realized the great benefits that products and services provide me through email marketing, so I can archive more registration through the forms. It is one of the best tools that gives you the option to automatically respond to all types of information from an online platform. You can make the emails delivered in sequence and messages, also send timetly and autoatic bulletins in a segentada form. The only thing. I do not like is that if you want to import the emails from another side, the emails must accept the step to the new platform, by clicking on the confirmation link and in this process you can subsscribers. If you are going to create your list of subscribers from scratch. I recommend using AWeber without a doubt, because it is the most complete option has more options of templates and is easier to use. I have solved the posibility of personalizing the forms of capturing emails, so that they adapt to the design of the web and to be able to sen emails automatically and in large quantities very fast. "The best option for marketing entrepreneurs"
I like that this copany has a great reputation and offers us an email marketing service. It gives you the ability to manage a contact list you have a company and thus grow your business, this is a great option. It is very useful for my virtual store, because it has an easy integration with the electronic commerce services. It also gives me a choice of 700 email templates. It is highly recommended according to studies more than 43,000 thousand people around the world rely on Awebber. With confidence you can transmityour messages and give your goods and services. It has helped me with its ease of use. I do not have much experience with email Marketing and Aweber has ease of use. I send many emails at the same time, because it has an excellent iport functionality. You can iport a wide range of file types and add email addresses in many ways. "A Mixed Review of Aweber"
Aweber has a very responsive and knowledgeable support staff. I knew little about email marketing when I was referred to Aweber. I had many questions, made my share of mistakes early on with importing my list, and integrating Aweber with other software tools was a challenge for me. I was always able to get help from support which made sense to me, being a new marketer, with respect and patience. After I had been using Aweber for several months I started promoting an offer for a different program and set up the autoresponder with a series of emails. But when I imported my subscriber list they were denied. I contacted support and was told in a vague way only that they did not allow this program to use them anymore. It was a well known, respected promotion and I was not given any more information. But because of this I left Aweber to used a different autoresponder. It is obviously to their discretion as to who they choose to accept, but in such a case knowing this beforehand would've saved me the time of setting up a campaign. I suggest that before setting up a campaign, which is time consuming, ensure the offer you are promoting is accepted by Aweber. Aweber provides a reliable service for sending out mass emails which were delivered to inboxes. Reliability is a huge issue with some autoresponders and this was one are I didn't stresss over. "(Switched from Drip) Good but confusing in the beginning "
When I got started, I did so many things wrong. The basic concepts were confusing. I had used Drip previously so I knew how to use complex systems but this one was not complex. It was hard for me to adjust. I can have segmented lists and many campaigns and tag each subscriber that comes in. I like that! "Pretty great depending on your budget"
Unlimited emails allow you to stay consistent with customers. Implementing Aweber on most CMS is extremely easy as it's been around for awhile and is compatible with just about everything these days. Support is par none and I've always received prompt responses to any questions or concerns I may have had at the time allowing me to continue working with little to no hang up time. I've never had a problem with things like deliverability or bounces. It's expensive for longer lists. The prices are monthly and based on customer list length. If you have a large list(s) this can become quite the overhead cost per month. This may be a personal gripe as the value you get out of email marketing can pay for itself multiple times over but as a business owner monthly expenses are something I focus on. Depending on your scale and budget it is a great option that's affordable and reliable. It allows you to do as many split tests as you want as there's unlimited emails included no matter the tier you pay for. I use this while working as a consultant for others with online business. I usually recommend it to those just starting to gain several hundred people to their email list. In part due to it's ease of use, functionality, overall compatibility, and affordability for smaller lists where volume of emails is important. In conclusion It can be a great alternative to others if you have a smaller list that requires daily emails. "They are the Best for Me"
I have been doing email marketing for the past years and I want to say Aweber is the best and I will recommend it to any friend looking to start email marketing, I basically use their Autoresponders to follow up with my subscribers and actually turn them to buyers later on. The only thing I don't really like about Aweber is the way they charge, they need to reduce the pricing. I can't be paying $19 per month for just 500 subscribers. I won't hide the truth from you, I have tried lots of other email marketing softwares, aweber still prove to be the bets for me. I sell my courses and so I create some autoresponder series to follow up with whoever signs up to my freebie. After a while, they receive some emails coaching them and finally they buy my course. What I like best about AWeber is the ability to navigate their dashboard and find exactly which campaign I need. It is also very easy to create email marketing campaigns as it walks you through the process from start to finish. This is one of the best platforms out there, it is hard to recommend a email marketing platform though as it is based on individual needs. This one, however meets a large array of needs. What business problems are you solving with AWeber? What benefits have you realized? Well to answer this would take a while, but the bottom line is it helps increase our sales through email marketing campaigns, it also lets me know who opened an email, who clicked on a link inside the email and how long they stayed online. "My favorite tool to deliver Mail-Marketing as fast as internet can!!" Integrations with other applications in automatic mode is my favorite thing of aweber, it saved a lot of time to my work-group, very good API´s and easy code to be integrated. Aweber offers a wide variety of solutions to intrigue other applications, whether marketing or sales. With more than 400 options available to connect the platform to cloud software like Wordpress or Wix; Very useful tools that I use daily as Instapage or Salesforce. Many of these options include Widgets that make it easier for me every day with Aweber, in some cases just adding code to the website, it can be used. E-mail marketing, very good platform, we sent a thausand of mail marketing post to our visitors and we got an outstanding results on many proyects as blogs, offering Amazon products (we get convertions) and CPA campaings. 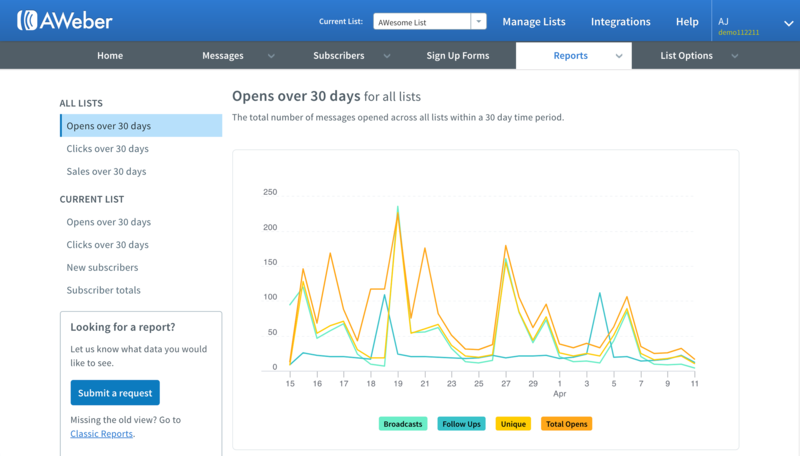 AWeber makes it easy to manage email lists. It is really easy to upload lists and add new subscribers to create new email marketing campaigns. The customer service has been very good, they have always given us support immediately. There really is not something I dislike. Tool does the job efficiently and I do not need anything else. We use AWeber in an integrated way with our website to automatically respond to users who contact us. This tool has also allowed us to reduce the response time of customer service and maximize the potential of our email marketing campaigns. Las plantillas de formularios que te proporcionan por defecto para crear correos facilitan el marketing sin la necesidad de tener conocimientos de programación para estas. Permite una automatización de publicidad eficaz y rápida que pueden hacer tus ventas más eficientes. En general es muy fácil de usar, permite llegar a un gran número de personas en un momento. El programa podría general por defecto algún tipo de tutorial para aprender a usar AWeber en profundidad, para conocer su máximo potencial. En general, lleva algo de tiempo controlar el programa, la interfaz gráfica de usuario está un poco anticuada y podría mejorarse. No es del todo fácil ni intuitivo configurar la automatización de correos. Buena herramienta de marketing online por correos, una buena opción de las tantas que existen en el mercado. Los servicios que ofrece el programa permiten conectar con tus clientes envíando información y publicidad actualizada a un gran número de personas. This product does exactly what it is supposed to do, when you need it done. We have it set up to send out brochures when a student is interested in our program and it works swimmingly! The month to month cost can be really annoying at time. Wish there was a way to just pay for a yearly subscription. They do have a three month option, which is better than the first. 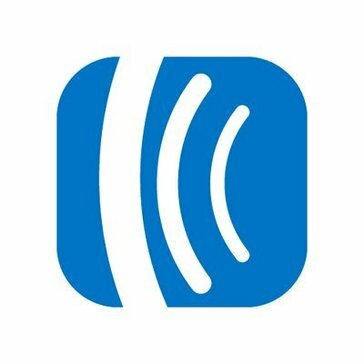 This is a great product if you are looking to send out information to others. This will be a plugin that you can put into your website and will pop up either when visited or when they click on a specific link. This works really great when you are trying to send out brochures or pamphlets and have an email of the individual or group that contacted you for said information. We are using this solution to send out brochures to potential students. This helps us by automating the process and making it easier for us to see how many students are going to our website. This allows us to know our possible inflow for the next few months, and possibly attract more students! "AWeber rocks my email marketing"
I love how easy AWeber is to use. The ready made templates are fantastic and make my emails look stunning and professional. It is incredibly easy to manage multiple lists, sign up forms, run campaigns, schedule broadcasts and track conversions. There truly isn't anything that comes to mind about disliking AWeber. I enjoy the video tutorials, the chat feature and the blog with tips. There is no shortage of help and useful information to assist me with making the most of this platform. Being able to capture potential clients via email signups is huge for my consulting business. The analytics that allow me to see what the open rate, click through rate and sales made from emails I send to my list are super helpful. In the past year, I have been able to fine tune what my list is most responsive to because of the detailed analytics. This is useful for anyone wanting to grow and maintain their email list. "The Email Marketers Email Marketing Tool"
My main complaint is that I can not add borders around any of the drag and drop builder emails newsletters I create. These definitely need a border tool so we can put borders around the whole newsletter or even sections within the newsletter. Other email marketing tools I use have this feature so I know it can be done. For experienced email marketers. Maybe not the easiest interface but very powerful and reliable. I not only use it for routine email communications but I use it with my Lead Pages landing page tool. That's another reason why Aweber is for serious email marketers --- it's API works with EVERYTHING. Aweber definitely plays nice with many other tools out there. "AWeber make my email marketing work"
The greatest component about making utilization of aweber will certainly certainly be this may alleviate connected along with acquire take good point about inside inclusion capacity in order to hyperlink several additional applications. Generating this the easy job to be able to sustain related together with your really private clients along together with cope with the particular particular sequence connected along with email advertising and sales communications. We in truth is likely to end up becoming at a place to acquire the costs within Aweber returning again within the handful of the particular little while connected with applying this particular. This specific might believe concerning more as well as perhaps a excellent offer much much less period focused about how precisely exactly accurately specifically exactly especially specifically exactly massive through the specific subsequent your business offers. Obtaining able to finish up being able to catch potential customers simply by means of e-mail signups is heading to be massive for the specific talking with company. The particular particular particular analytics that might may let me individually individually to get capable to observe accurately what the particular open up price, simply click on by means of price within add-on earnings created by means of electronic mails Just regarding all linked along with almost all associated with all of all of us submit purchase within order in buy towards the list generally are often extremely helpful. Previously 12 a number associated with times, I obtain benefit for obtained at present currently already presently recently been qualified in order to excellent tune the particular accurate register may be practically just about all of the the particular reactive to end up being able to therefore connected with in path of the particular reality from your particular specific substantial analytics. This particular particular specific specific specific will, no doubt certainly become properly ideal is accessible within buy within purchase to anyone looking along along along with regard to within order to produce additionally preserve their very own special extremely individual person email list. "Easy to learn, and easy to use"
This system is very intuitive & user-friendly. You don't have to have any experience to use this. They even provide (nearly) full analytics on the emails you send out. The only snag I kept hitting with this service was the email blast list cleanup...Aweber would let me know that there was an invalid email in my list, but couldn't tell me which one due to privacy concerns. So then I couldn't send out an email to that list because of this tiny problem. It took a long time to sift through and fix it. I would definitely recommend using this service. I tried out quite a few other services, and I couldn't find the same experience, especially the analytics that Aweber provides, anywhere else. Aweber helps us stay on top of our email marketing pretty efficiently. With the analytics they provide, we can pinpoint what works and what doesn't, so we're able to keep making our emails more and more effective. 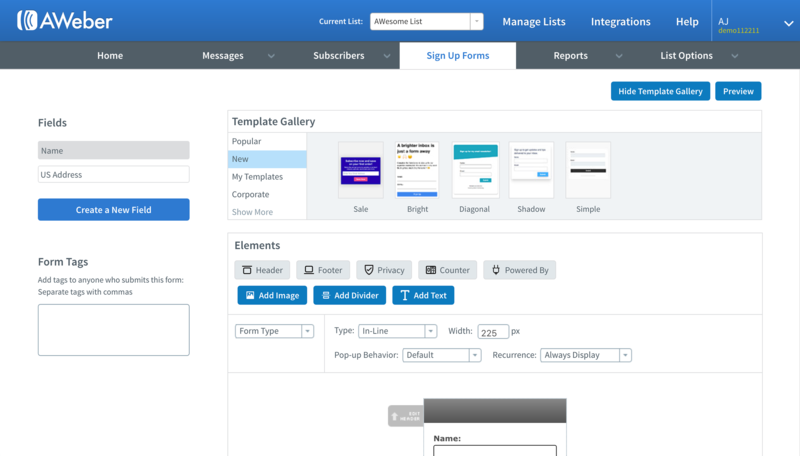 "Aweber, the best email marketing tool"
It's a cloud application meaning you don't have to download anything, everything is setup within the site. You can send pre-programmed campaigns, so-called follow up emails ( autoresponders), and you can also send random emails, also known as broadcasts. Another thing I find very valuable in the tool is the email parser function, which allows you to integrate a certain list of Aweber with some other script that you use. It can get pricey depending on how many subscribers you have on your lists. This is as very reliable solution for everyone who is into email marketing. It has a free trial, so give it a try! The automation and integration with third-party tools are a very good aspect that helped my business. The best part about using aweber is it's relieve of use and ability to hyperlink numerous other programs. Earning it easy to maintain of your customers as well as automate a sequence of email messages. I was able to get my investment in Aweber back inside a few months of using it. This may take more or less time based about how big of the following your business has already. Being able to capture prospective clients via email signups is huge for my consulting company. The particular analytics that will enable me personally in order to see what the particular open rate, click through rate plus sales produced from electronic mails We send in order to my listing are usually extremely helpful. Previously 12 months, I possess got already already been competent to great melody the real list is almost almost all responsive to because of the fact of the considerable analytics. This specific will certainly become well suited with regard to anybody attempting to create plus maintain their own own email listing. The auto-save feature. When one is working on an email, Aweber saves progress every minute (and with each action) so it makes it easy to view email version history, and also not worry about losing progress. It's also nice because this feature is comparable to an "undo" or "redo" button. This email automation platform is not the most advanced, there are others that are more sophisticated and produce a much higher email quality. This email platform changes the resolution of images, Also, adding blocks (for images and text, etc) isn't very flexible as far as the layout design goes. It is also difficult to customize the blocks (borders, sizing, etc). Finally, though Aweber will auto-save your progress, it does not save previously used fonts/colors, so each time you exit then go back into an email, you have to go through the customizing part to add to an existing email. The overall creative and styling process is terribly outdated. If you want an email automation software that is more sophisticated, I recommend shopping around. This is a very basic email platform that doesn't have the same "bells & whistles" that other email automation software platforms offers. The creative styling and layout of the email platform isn't very modernized. Aweber has been used to send out information about upcoming sales/promos. That's very helpful marketing and it's simple to read the stats on emails (when customers open the email, time of day to send, unsubscribes, subscriber sign up and so on). It's an easy platform that saves previous templates and stores drafts for future use. "Simple easy way to keep clients informed"
Easy to use and has a lot of great options when it comes to follow up correspondence. Sometimes formatting (Spacing more specifically) will be off no matter how you try to format your e-mails during the build step. Don't hold back when it comes to asking customer service for help. Extremely friendly and willing to work one on one with you to make sure that they are doing everything they can to make your experience an easy one. They also seem open to suggestions in case you have an idea you would like to run by them. Being able to reach out to our clients on a frequent basis to let them know we are there. Updating our clients on all the newest news happenings. "Competitive pricing for a common marketing tool "
Many formatting options! You can create many different styles of email blasts, newsletterts, etc. you can also import your own subscriber list or insert it yourself. It is nice to have an option with that. although there are a ton of formatting options, not all of them are modern and appealing. It may be hard to customize (you’re onky allowed a set amount of fonts) unless you’re adept at coding. Utilize the automated email blasts! You can schedule and set emails to be sent out automatically. It takes work on the front end but simplifies things a lot for the rest of the duration. I can create a newsletter, upload a subscriber list and blast out a newsletter in minutes. It truly helps me keep in contact easily with my partners. Evaluate your requirements before purchase. Any software has benefits and limitations, and you should be aware of them before making any purchase decision. I found the platform to be reliable and easy to use. There is no steep learning curve if you are already experienced with marketing and marketing systems. "Affordable and perfect for the growing business." I don’t get as many free email templates as I get on Mailchimp.Also,the templates provided are not modern email templates and very difficult to customize,without a good background in coding. I use Aweber for our weekly email campaign solution. "Straight forward software once you get the hang of it"
I like the ability to see the stats on my campaigns and subscribers. They are compatible with most other softwares out there. The phone app is pretty handy, too. I REALLY wish they would improve the place where you compose the emails. I know that MAJOR email marketers have requested they change it / made suggestions but they do nothing. It should be easy to cut and paste text written in another document and keep the formatting but it's not. I constantly have to go through my emails and do hard returns on each line to get the spacing correct. If you want to have a big margin on the side of your text (meaning about a 3 inch text area), it should be easy to do that. Overall, composing an email in there should be easier. I stick with them because it's an even bigger hassle to switch to someone else. How hard is it really to fix these things? Also... the opt-in forms / boxes they provide look pretty dated. Seems to me those could be improved quite a bit. After you've learned the system you'll be fine. It shouldn't take long to figure it out. Also, their phone support is good - they'll take care of you until you're satisfied. The problem of making more sales is pretty much on me. Grateful that I can send emails via Aweber. VERY glad that they have added the tagging feature. Excited to start using that in my campaigns. I love everything about Aweber. Customer Service and ease of use is perhaps the best part about the platform. I have been a customer for many years and will continue to do so! . I highly recommend Aweber in order to collect leads and build a broader audience. There really isn't anything I dislike about Aweber. The setup is a bit complicated but that is to be expected with any new software. Aweber has been an extremely helpful e-mail marketing system. I am able to collect leads all over the web with a simple sign up form created directly on the site. I have an e-mail template within the system enabling me to personalize my e-mails and make them very professional looking. I highly recommend Aweber in order to collect leads and build a broader audience. I have been able to build healthy relationships with my readers and customers with ease. I have been able to collect leads, and e-mail all of them with a simple click. "Email Marketing Company to Start with"
Aweber is an awesome company, they provide high quality email services and follow up and their customers. They sends training on email marketing and most importantly their inbox rate is very nice. It's costly and either you use it or you don't you have to pay every month for the service. Aweber is good if you need high quality email marketing tools for your marking campaign. if you are looking to build fresh email list from cold traffic, Aweber is your best shot. They provides double optin option and you can customize your Confirmation headline. Their customer support is awesome. Give them a try. Email list building and Optin form creation.